The SoundPeats QY9 have a lightweight, wireless design and a stable fit that's good for sports. They barely leak any sound and are compact enough for most pockets. Unfortunately, they don't block ambient noise as well as the QY8 and have an average-at-best sound quality. The QY9 have a sleeker design than the QY8 with slight improvements in the control scheme. 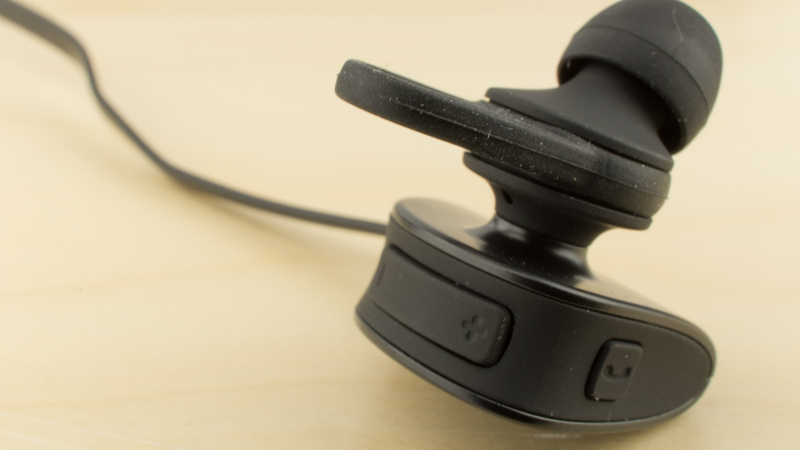 The play/call button is in a better location than on the previous model, where it would force you to push the headphones deeper into the ear canal. They feel sufficiently dense and can handle a few drops without getting damaged. They're also stable headphones for sports. 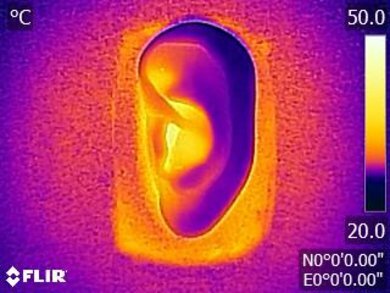 Unfortunately, the in-ear fit might not be comfortable for everyone. 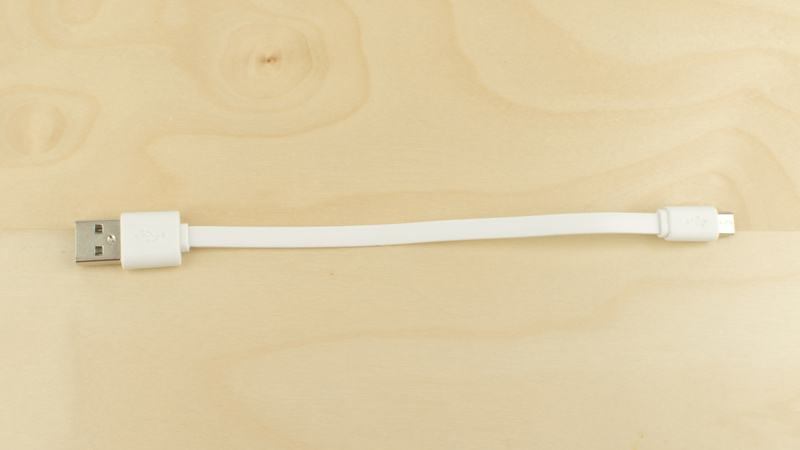 The QY9 are stylish-looking wireless in-ear headphones. 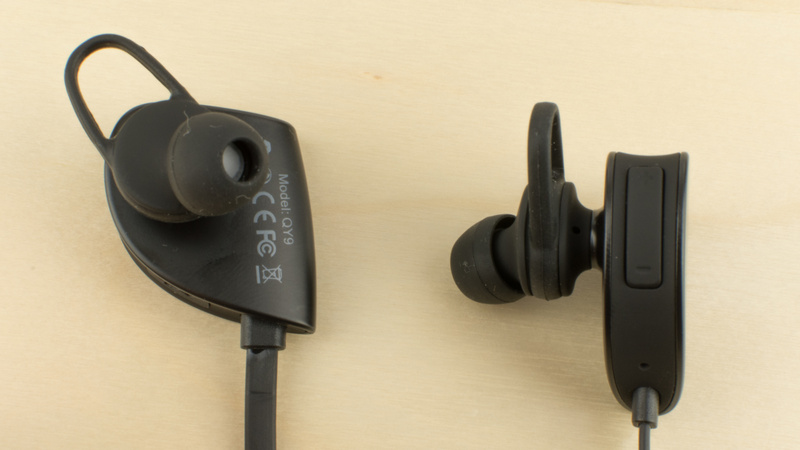 They have a similar format to the QY8, but the earbud's design is a little sleeker and moves the play/call button to a better location than on the previous model. They have a simple matte black color scheme, and they're relatively large for in-ear headphones. 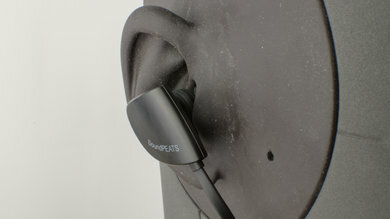 However, they do not stick out of your ears like the SoundPeats Q8's design. These headphones have a typical in-ear fit, which may not be comfortable for everyone. On the upside, the QY9 fixes the issue the QY8 had with the call/music button placement. 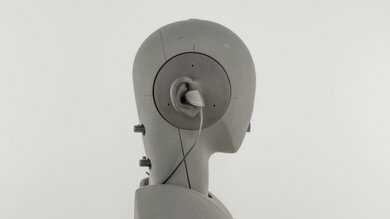 The button no longer causes listeners to push the earbuds deeper into the ear canal, which was uncomfortable. They also come with a variety of tips to help you find a more comfortable fit. The QY9 has a decent control scheme that provides call/music, track skipping, and volume controls. The buttons feel a little cramped on the earbud, but it's a slight improvement over the QY8's layout. However, tactile feedback is mediocre and may take some time to get used to. The QY9 are very stable headphones. They won't easily fall out of your ears while exercising at the gym. 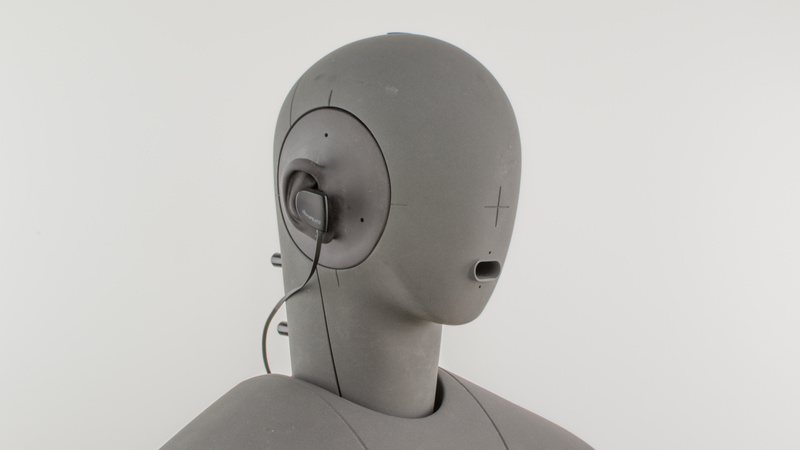 They're lightweight, and the in-ear design is inherently stable. 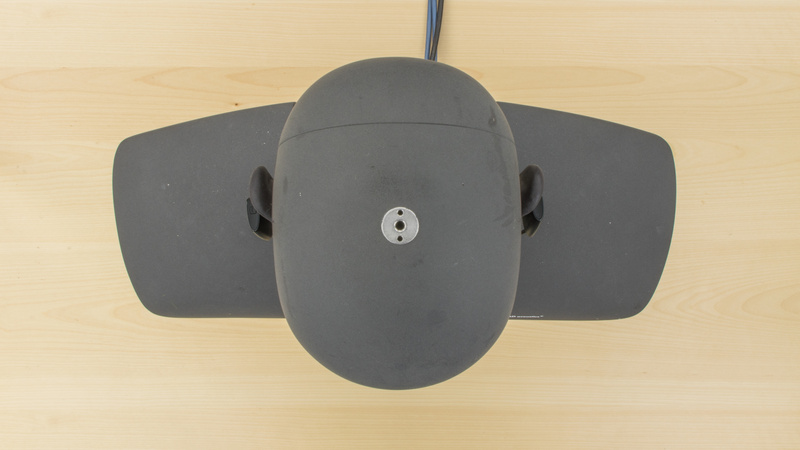 They also have a wireless design, which means the likelihood that the audio cable gets tangled or hooked by something is low. That plus the additional tips provided to improve stability makes these headphones good for sports use. The QY9, like the QY8, are also amazingly portable headphones. The in-ear buds are a little larger than usual earbuds, to house the wireless electronics. However, they're still small enough to comfortably fit into a pocket, bag or purse. Comes with a soft case that will protect the QY9 from falls and scratches. 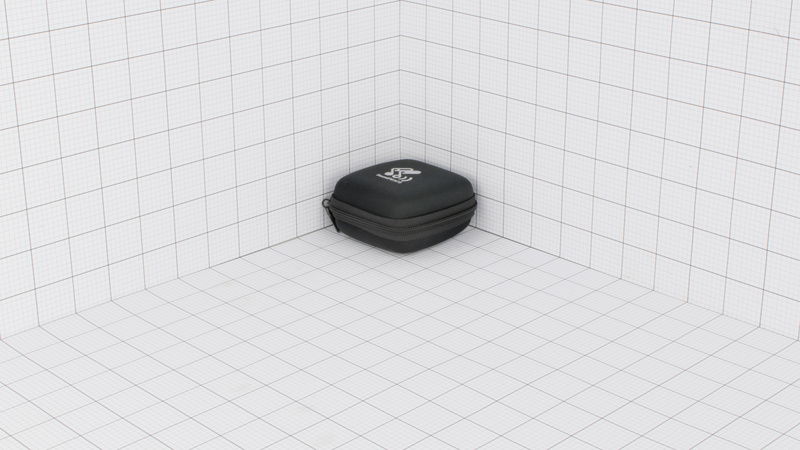 The soft case will not protect the headphones from water damage or heavy physical stress like accidently stepping on it. It also adds a little bulk to the headphones but it's till small enough to fit into pockets and has sufficient space to carry all the provided headphone accessories. Build quality is decent. The earbuds are lightweight and dense enough to handle a couple of drops without damage. 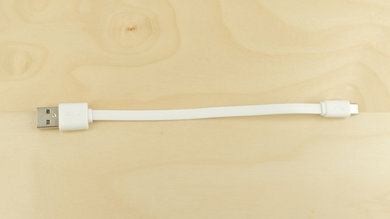 The flat audio cable is thick and rubberized, which makes it less tangle prone and a bit more durable. Unfortunately, on some units, the audio cable has snapped relatively easily. 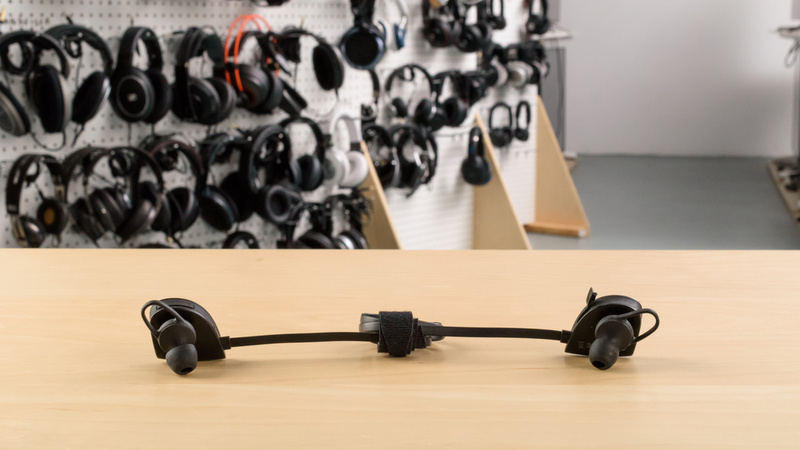 This issue won't happen with all units but should be something you take into consideration before buying these headphones. 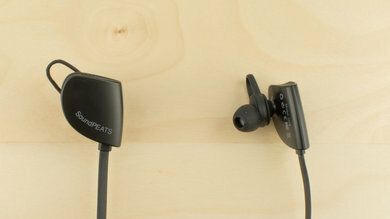 The SoundPeats QY9 are a mediocre sounding pair of closed-back in-ears. They have a mediocre bass, mid-range and treble. Additionally, their bass is excessive and boomy, their mid-range is muddy and their treble lacks detail and presence. Also, due to the in-ear and closed-back design, they don't have a good soundstage, and our test unit's L/R drivers were poorly matched too. The QY9 only isolate passively. 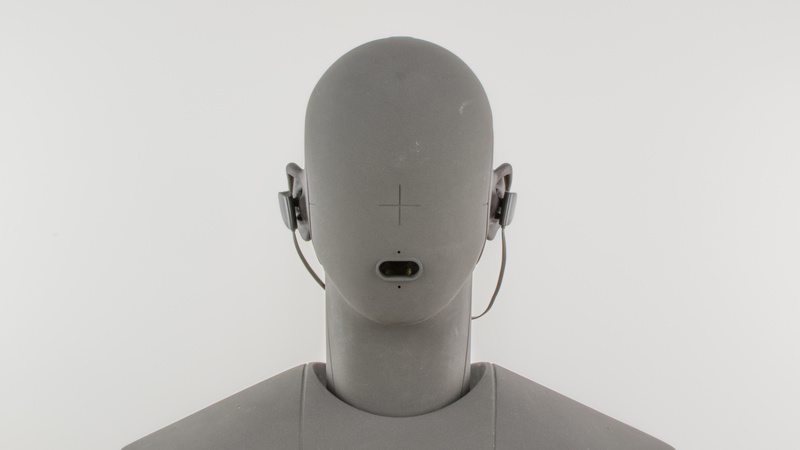 Unfortunately, unlike the QY8, the seal that these in-ear headphones provide is not as good and therefore does not block as much ambient noise as the previous model. They will not fare well on loud, noisy commutes and you will be able to hear the train or the chatter of a busy office, if you don't listen to your audio at high volumes. Luckily, they barely leak at all and won't be audible to people around you even at the higher volumes. Poor isolation. Unlike the QY8 which outperformed some ANC headphones, the QY9 shows moderate amounts of isolation. There is little to no isolation present in the Bass Range, and the isolation provided in the Mid Range is just above average. However, there is more than 40dB of isolation provided in the Treble Range which is excellent. Good leakage. The QY9 has low amounts of leakage. The majority of the leakage happens above 2KHz which is good and the overall level of the leakage is quite low too. The QY9 have a decently fast and reliable wireless connection but a subpar battery life. They do not have any power saving or audio customizing features like the QY8. On the upside, they don't take too long to charge and have a decent wireless range for their small size. The QY9 have the best wireless range out of the Soundpeats QY series. They maintained a stable connection up to 30ft when the Bluetooth source was placed in another room. They also have a decent line of sight range which makes them a good wireless option for moderately sized offices, as long as there are not too many obstructing walls between the headphones and the source. Unfortunately, they don't offer NFC and their hold to pair procedure is slightly tedious even if they do provide good auditory feedback when pairing. The QY9 have a decent battery life for small wireless in-ear headphones. However, it won't be enough for, particularly long road trips as you will have to charge them at least once through the day especially if used continuously. Luckily they don't take too long to charge but you can't play audio while charging and they have no power saving feature, which means they will run out relatively quickly if left connected to your bluetooth device. The QY9 are geared towards sports, but they're fairly versatile and have a compact, wireless design. This makes them decent mixed usage headphones. Unfortunately, they have worse isolation than the QY8 and a mediocre-at-best sound quality. Not made for critical listening. 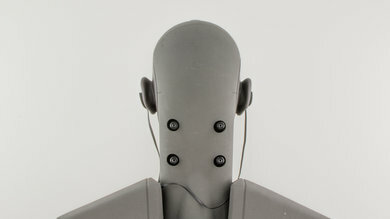 They have closed-back in-ear buds, which can't create a spacious soundstage. That coupled with their mediocre-at-best sound and their sometimes uncomfortable in-ear fit makes them not ideal for critical listening. Mediocre for commuting. They're compact and fit into most pockets. Sadly, their isolation is weaker than the QY8, which makes them less suitable for loud environments. The QY9 are good headphones for sports. 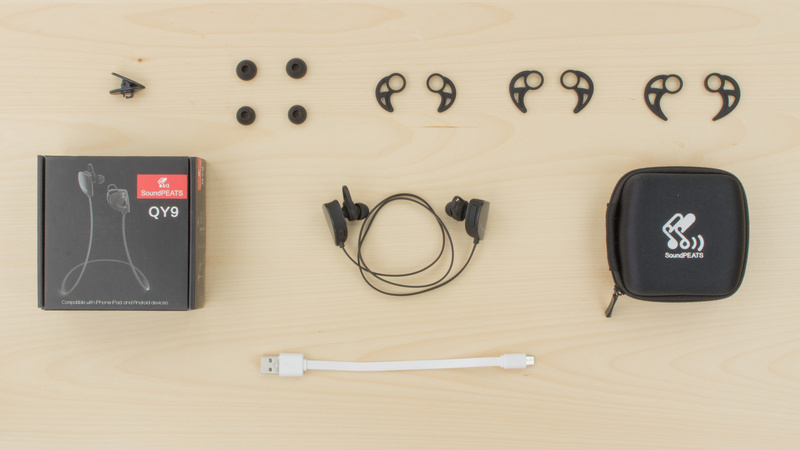 They have a stable in-ear fit, and They're wireless and small enough to carry around on your person wherever you go. However, they're not comfortable for everyone, and their control scheme could be improved. Mediocre for office use. They don't leak much but won't block the chatter of a loud office. Mediocre-at-best for home theater use. They have a lot of latency even with aptX enabled, which is not ideal for watching videos they're also not as comfortable to wear for long listening sessions.